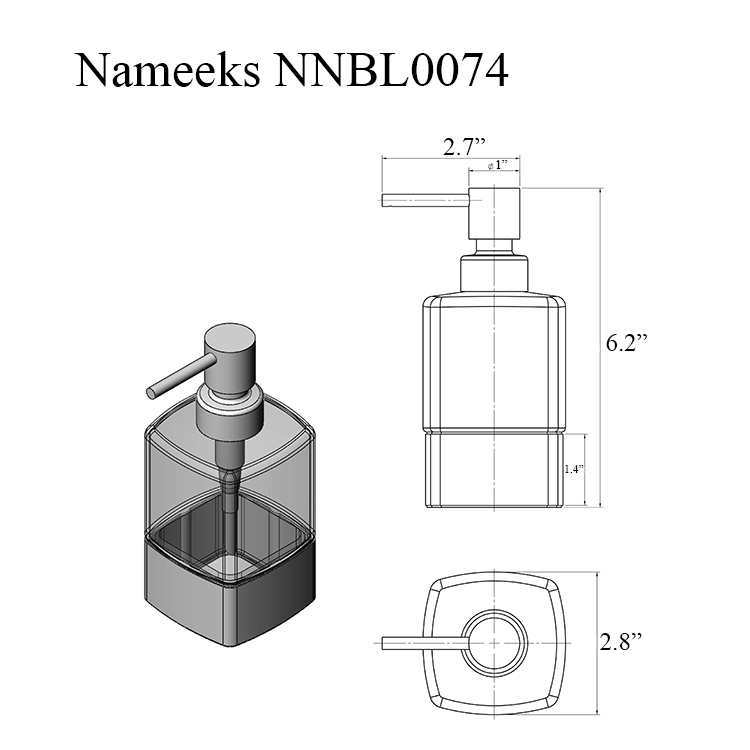 Modern style round countertop soap dispenser. 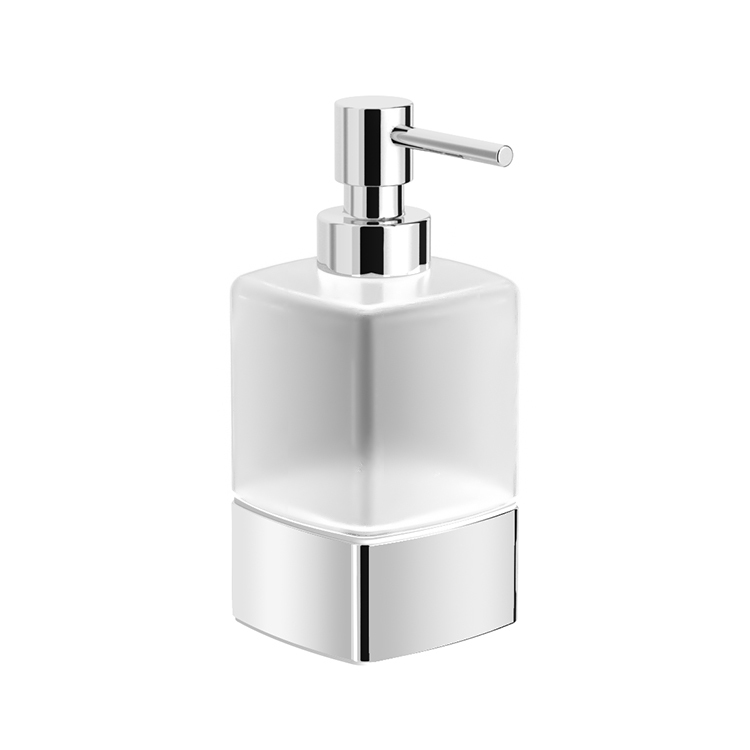 Soap container made out of frosted glass. Base and pump made out of solid brass in a polished chrome finish.